One of the best things about the food pins on Pinterest it how many healthy takes on snack & junk food there are! These apple chips (1) are so so yummy & really easy to make- I have made them heaps of times & they make a good movie snack. I love all the really imaginative ideas to make something simple seem so much more special, which is why I think these vanilla ice cubes (2) are UNREAL- great in iced coffee or a great way to fancy up a rum & coke! I am also a sucker for a good cocktail recipe, paired with some lovely styling, plus I am of the opinion that gin is the absolute best thing mankind has ever done, so this beautiful looking GC&T (3) is right up my street. And lastly, I think you'll agree that cake is amazing, especially when it looks as pretty as this- without even knowing what flavour this orange & poppy seed (4) delight was I was obsessed with the beautiful rose-inspired frosting. To add to my obsession, citrus-flavoured sponges are my absolute fave, so I am determined to hone my piping skills enough to make this beautiful cake. As I live in a TINY, one-bed flat I rely on Pinterest to help me get my fix of beautiful homes. I am absolutely hooked on looking at picture after picture of beautiful spaces, and this gorgeously bright living area focal point (1) is absolutely right up my street. Some day I dream of owning a light & airy space like this with beautiful hardwood floors, a brick fireplace & a good dose of bright colour pops. As I mentioned in my previous Pinterest post, I am the kind of person who obsesses over attention to detail when it comes to my interior decor, so I love this simple but really effective way of displaying fresh flowers- add a good handful of sparkling sequins to the water (2) to really make a feature of your florals- just beautiful. This third pick highlights my love of a good cheap DIY too, take some cheap junk objects & spray paint a bold, bright colour (3) to add interest & fun to your shelves & bookcases. I think this is so clever, and a great way to bring originality into your home on a shoestring budget. And finally... the BEST thing about Pinterest, ogling absolute fantasy homes that I can only aspire to in my wildest dreams! This window-side reading nook (4) is pretty much my all-time biggest goal in life- I NEED somewhere beautiful & bright to curl up in & read all my favourite books someday! I hope you've enjoyed my little tour of my favourite pins, & hopefully some of them have inspired you as much as they have ALL inspired me. I love that I only need to spend 5 minutes on Pinterest before I find something absolutely amazing that I feel I NEED to try- and I love that there are so many affordable & easy things to do that can help me inject a little bit of creativity into my everyday life. Please share some of your favourite things you have found on Pinterest! And let me know who you are on Pinterest too so I can follow your boards & check out the things your have been pinning! If you are interested, you can follow me here! It's been a busy month! Autumn has definitely arrived though & September is getting into full swing. I always look forward to September because well, it's the month my birthday falls in! (Plus I also really liked going back to school when I was younger because I was a bit of a nerd like that). There's something industrious about this time of year though, it's a time that signals change & a chance to reorganise & collect yourself after a crazy, energetic summer. PLUS IT'S SO MUCH COSIER. My birthday has been & gone, and being quite lucky & a bit spoiled, I got a Google Nexus 7 tablet as a present from my parents. One of my favourite things on it has been the Pinterest app- it's really well designed & easy to use, which has made pinning things so much easier & more enjoyable. I always liked Pinterest well enough but I suppose I didn't really get it at first. Not now though- now I am full blown OBSESSED. I really like that it seems to be about sharing & finding ideas in a really useful & practical way, rather than something like Tumblr, which places more emphasis on visual & aesthetic inspiration, which is obviously good too, but serves a different purpose. I thought I'd share with you some of my favourite pins I've come across recently, in case, like me at first, you'd like to use Pinterest more but perhaps don't really 'get it' yet. One of the things Pinterest is BRILLIANT for is DIY ideas that are clever, useful & simple.Things like this cheap desk fan, simply spray painted a cute pastel pink for a more vintage feel (1) seems so simple I can't believe it hasn't occured to me before! I really like attention to detail like this in my decor & it's a good way to tie your more practical items into your interior design. I also love any DIY ideas that are inexpensive, which is why these embroidery hoops of fabric swatches (2) are such a brilliant way to add colour & interest to a wall for next to nothing. It's also great to see DIY tutorials for something you have been wanting to do for a while but don't know where to start, which is why I love this tutorial for a pretty terrarium (3). It's also good for one-of-a-kind gift/wedding/party ideas, like these gold-dipped champagne flutes (4), which would be a great idea for a housewarming gift, or if you want special glassware for your wedding/party but don't want to spend a fortune. I adore how many beauty ideas there are to be found on Pinterest. A lot of days I need a little flash of inspiration to help me along my way. I love the huge variety of easy nail art ideas you can find, and this chevron/glitter (1) combo is one of my faves- plus you can change up the colour depending on your outfit/mood/the weather. Another thing I love is that there is always a tutorial for something you've been wanting to try, like this amazing waterfall braid (2). And when I have no idea what to do with my face for a special occasion (or a rainy Tuesday when I'm bored) it's great to scroll through a bunch of different makeup looks until you find one you really like, like this pink lip/flicky liner/contoured eye combo (3). Part II: Food & Interiors will be posted later this week! One of the things I love most about his aesthetic vision is his use of colour- lots of brights & primary colours, they always remind me of the kind of colour palette you might see in a kid's drawing. His characters all seem to share a similar sense of style too- quirky preppy, with lots of sportswear, collared shirts, stripes & block colours. 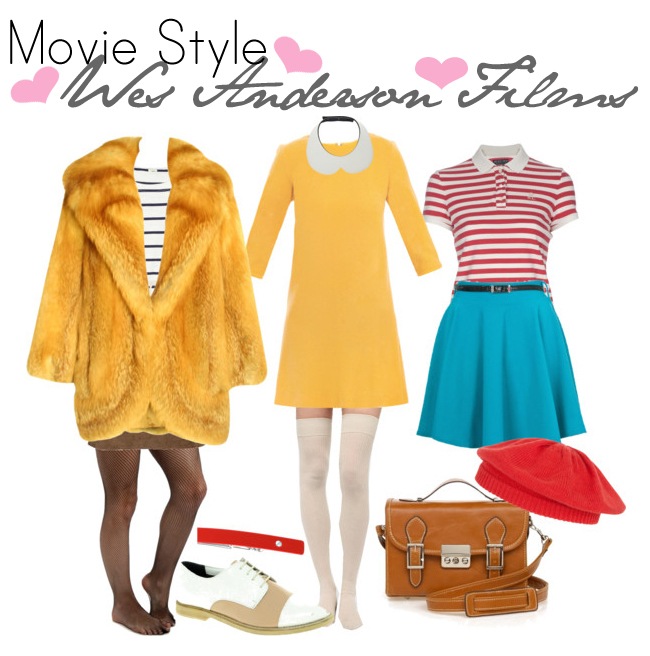 If you want to get a Wes Anderson kinda vibe into your wardrobe, then start with colour- bold, bright primaries are the way forward, with a nautical stripe thrown in here & there. The silhouette is retro, a kind of modern 60s vibe with a-line mini skirts & long sleeves, & if in doubt, always choose a collared neckline (you can make your own from this DIY at Honestly WTF). Hemlines are short so cover up with fishnets or over-knee socks! 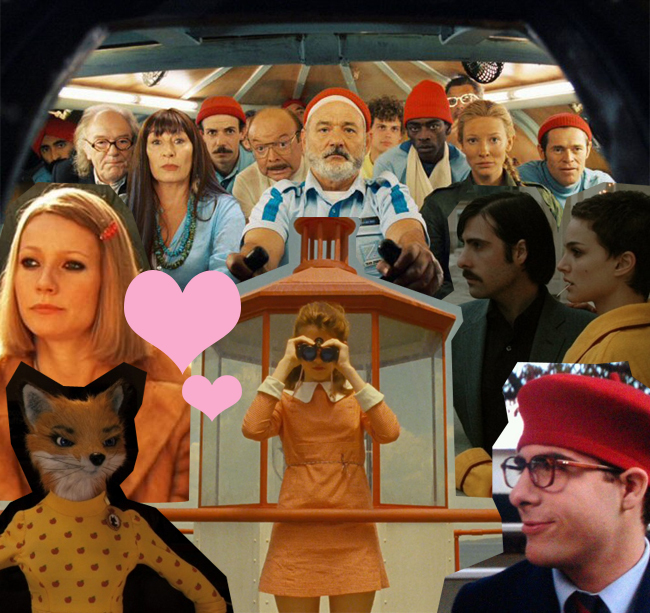 Shoes are sensible oxfords as Wes Anderson characters love a good adventure so you can't really be tottering about in heels, plus you'll need a bag you can sling across your body so it doesn't get in the way, and don't forget a plain red barrette to pin back your hair. Lastly, in case you get cold, you'll need a big fur coat &, most essential, some sort of red hat (knitted cap or beret style, it's up to you). With your Anderson inspired wardrobe you'll be all set to start your own adventure, whether that be hunting a mysterious sea creature, going on a train-journey pilgrimage, taking down an evil corporation or, of course, saving Latin. This was another thing I saw on Pinterest that looked really cool- omelettes in pepper rings! 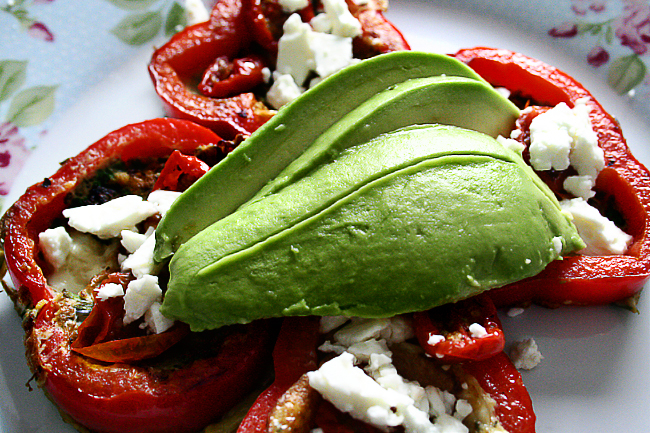 It made a really tasty brunch & was quick & easy to whip up! 1. Crack your eggs into a jug & whisk together with about a tablespoon of parsley. Add salt & pepper to taste. 2. Heat olive oil in a frying pan over a high heat. 3. Chop your peppers into rings, not too thickly, (you should get about 4 decent sized rings per pepper), fry them on one side in the pan for a couple of minutes, then flip them over. 4. Pour your omelette mixture into the centre of the rings (mine leaked out a bit at first so make sure your peppers are pretty flat to the bottom of the pan). 5. Once the omelettes are mostly cooked through, flip them over to get the tops cooked. 6. 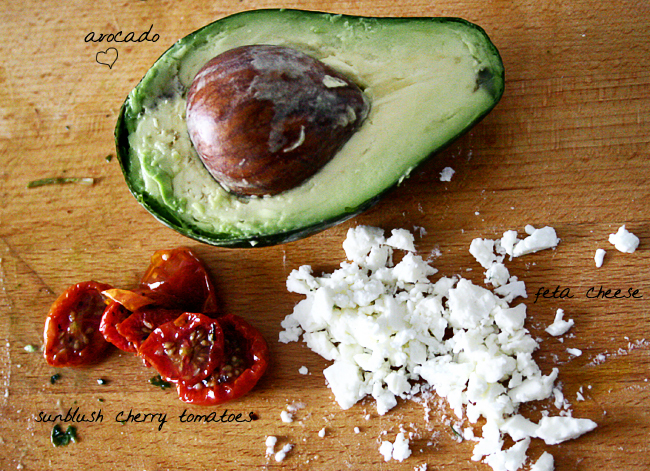 Plate up your omelette rings & add tomatoes, cheese & sliced avocado on top! 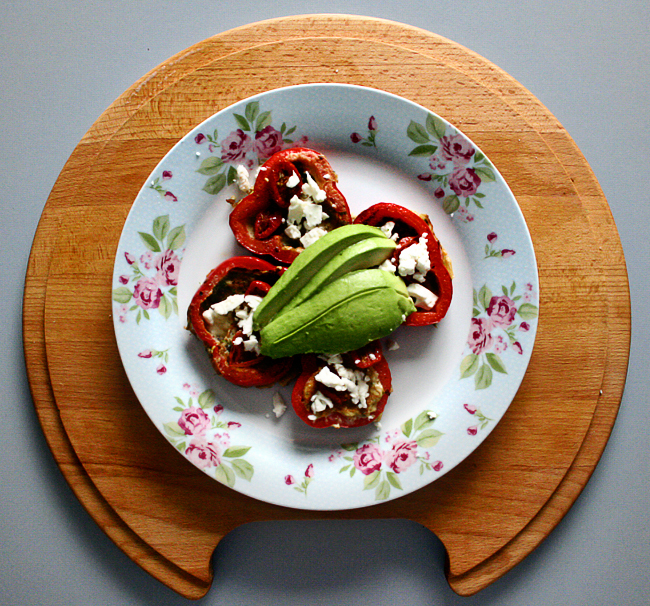 You could customise these endlessly, and use green, yellow & orange peppers too. I ate mine with a splash of balsamic vinegar too- I'm addicted to the stuff! I'd seen a few cat nail designs similar to this pop up on Pinterest recently, & they looked simple enough that I could maybe attempt it myself. When I pulled out my polishes to get started though, I couldn't find any black nail art pens or even a nail art brush (quite typical for me, I can never find anything) so I just decided to be as careful as possible with the brush from the bottle. The colours I used were GOSH Miss Sweety, MAC Nocturnelle & Barry M Mint Green. My topcoat is Seche Vite, it's THE BEST for nail art, as even though there are a lot of quick-drying topcoats on the market, Seche Vite doesn't drag your wet polishes through one another, which a lot of others do. 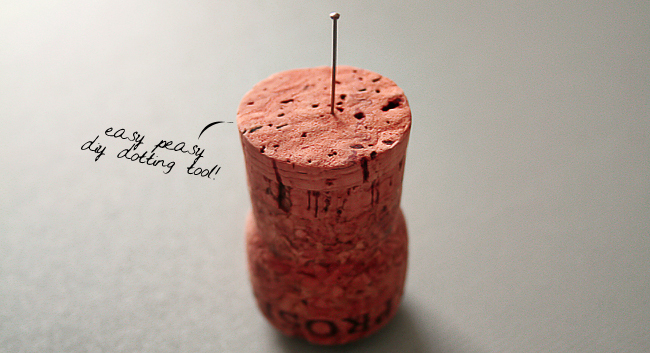 I also don't own a dotting tool, I normally just do my polka dots with a pen, but as I couldn't find it I decided to make like Macgyver & create my own from a pin & an old wine cork. Proof that you can easily do your own nail art on a budget without any fancy tools or equipment! I love my kitty nails, I will definitely be doing them again, & also will be polka dotting my nails a lot more often now that I know it's this easy! Hi I'm Sam! I'm a 29 year old Northern Irish girl living in the North East of England. I like makeup, a good bargain, baking, gin, dogs and building forts. I still don't know what I want to be when I grow up.